While Meatless Monday is always a special occasion, this Meatless Monday is made even more special thanks to Memorial Day! 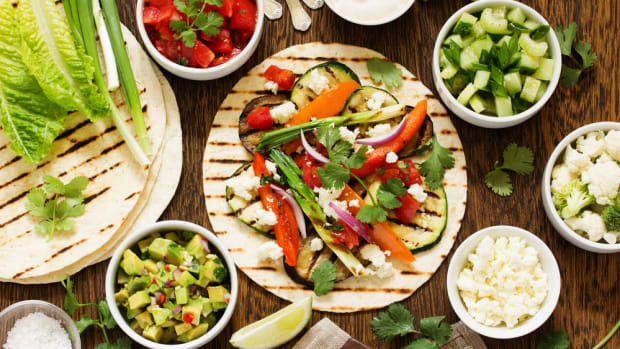 As opposed to more typical Meatless Monday meals, this week, you have the opportunity and the time to prepare the entirety of your lunch or dinner on the grill and to enjoy your meal outside. 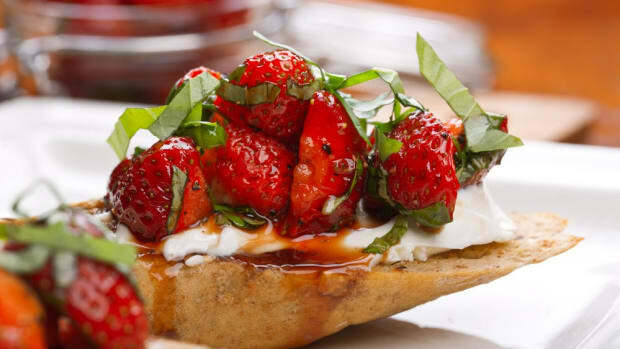 These Memorial Day recipes are sure to make this Meatless Monday special. One of the keys to ensuring that a cookout is successful is not to rely on the grill for everything. Prepare some sides in advance and offer a simple, seasonal fruit salad with whipped cream for dessert. Keeping things as simple as possible will ensure that everyone, from the hosts to the guests, have a fantastic experience. Start things off with the simple yet delicious combo depicted above. 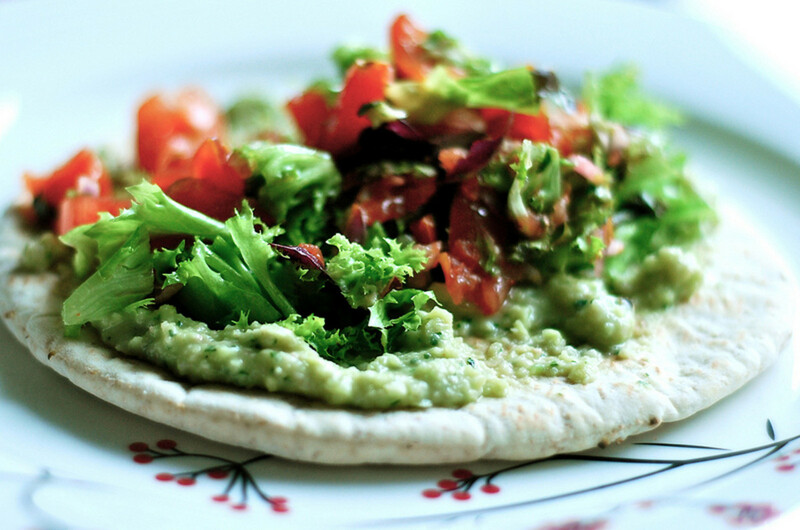 Grilled pita or flatbread serves as the base for a homemade avocado hummus topped with seasonal greens and tomatoes. Allow people to assemble their own versions by setting out a small salad bar with greens, tomatoes and vinaigrette. All the host has to do is grill the bread! 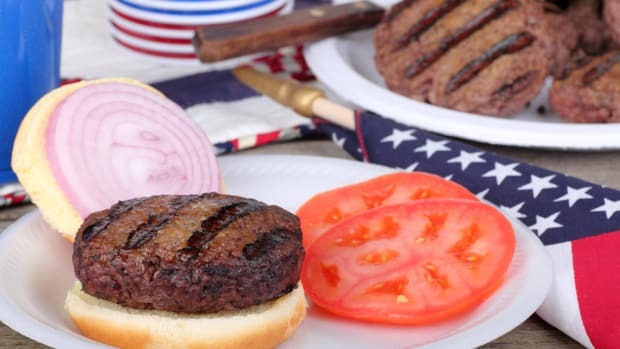 No Memorial Day would be complete without a burger. 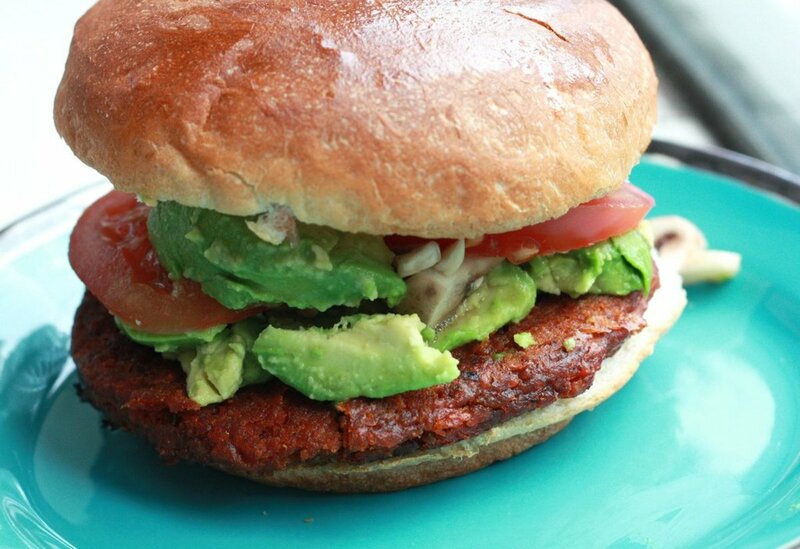 This sundried tomato and lentil burger is 100 percent vegan and packed full of flavor. 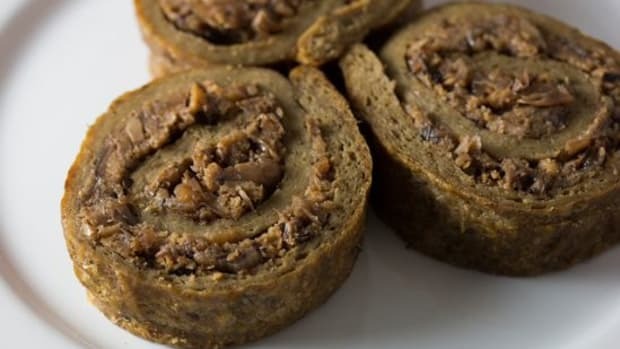 The patties effortlessly combine naturally sweet and savory ingredients, like sweet potatoes, lentils and tomatoes. 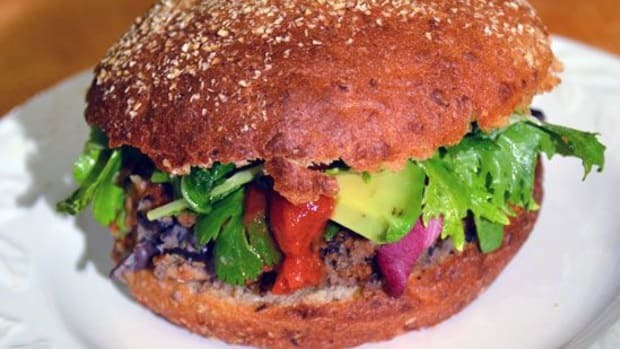 Seasonings like soy sauce and garlic ensure that these patties are just as full of flavor as your favorite burgers, be they of the beefy or meatless variety. 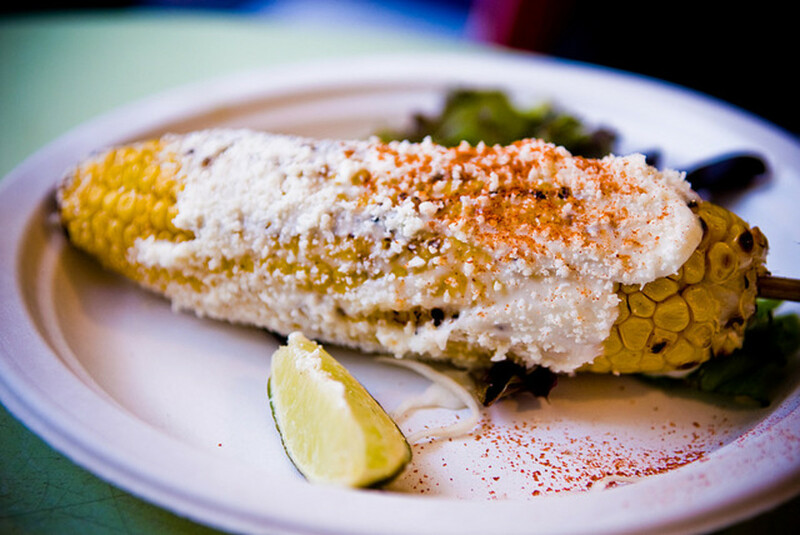 Roasted Mexican sweet corn, also known as elote, is a great addition to your Meatless Monday feast. This recipe is perfect for Memorial Day and the first corn of the summer. Corn is topped with mayonnaise, Mexican cojita cheese, lime, chili and cucumber. 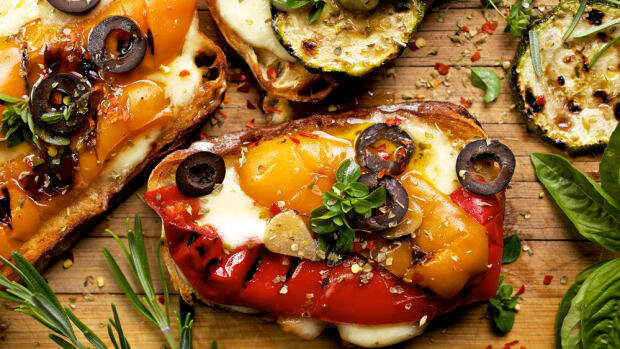 It&apos;s a tad messy to eat, which is part of what makes it so perfect for an outdoor meal. 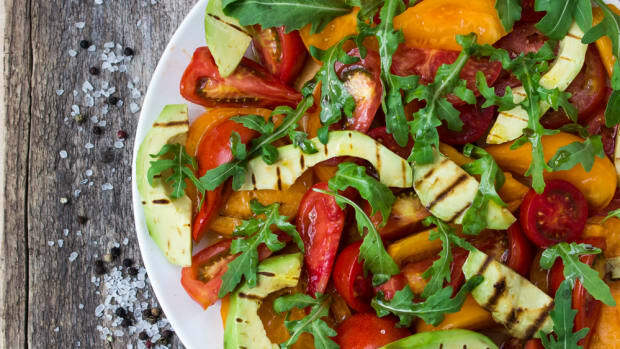 No cookout would be complete without the perfect sides, and this tomato and zucchini salad is an impressive choice. 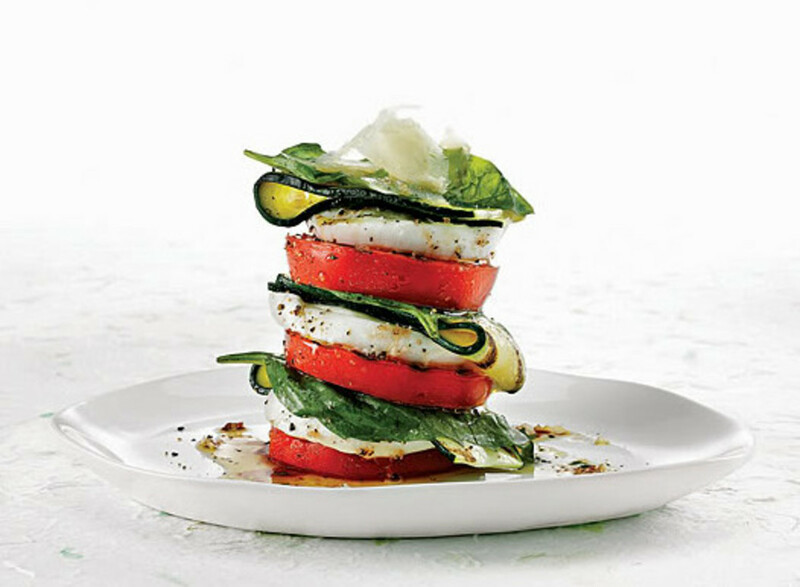 Tomatoes, zucchini and buffalo mozzarella form delicious and beautiful towers that are nearly too pretty to eat! 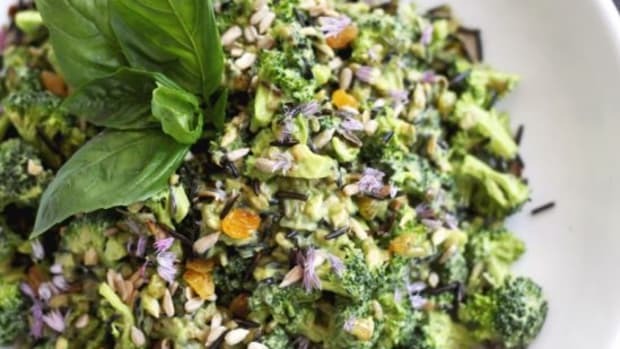 The zucchini gets roasted on the grill before being folded into the towers; everything else can be prepared in advance to make these pretty plates a snap to put together!